It was all begun with my pure curiosity about Josh Radnor’s works as a director/script-writer. I started to watch “Happythankyoumoreplease”. It’s a great movie. 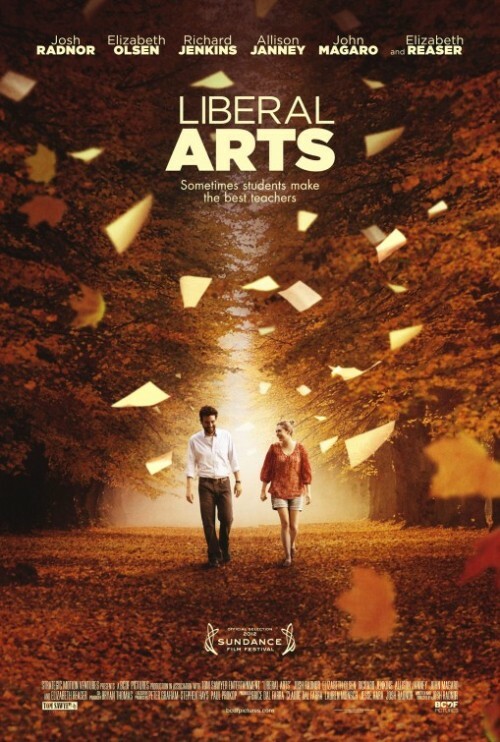 Then, I continued with his second movie, “Liberal Arts”. This one is brilliant. “Happythankyoumoreplease” talk about insecurities faced by all of the characters in the movie. Annie, a girl who feels that she’s not worthy to be loved. Sam, a guy who is struggling to earn money from being a writer. A girl named Missisippi (such a cute name! ), who’s trying to survive in New York City. Just a simple story about relationship. A story that most probably also happening to us. The plot is so familiar for me. My last love story involved a guy who’s much older than me. So, yeah! Haha. People said that in terms of relationship, age is nothing but a number. It’s nonsense, man! I’ve “known” Josh Radnor for these past few years, as Ted Mosby in How I Met Your Mother. And after watching these 2 movies of him, I can say that he’s brilliant. I mean, he’s not the most brilliant one but he’s definitely more than “just” Ted Mosby.